Spring has officially arrived on the east coast of the US, after what might possible be the longest Winter ever. Making the most of this mild weather, we headed off on a cheeky weekender earlier this month to the Hamptons. We packed up our Zipcar and hit the highway with our four legged friend, eager for some fresh air and sunshine. Enthusiastic to explore a new pocket of Long Island - we stayed local in the quant village of Sag Harbor just a 3 hour drive from Brooklyn. Sag Harbor is sandwiched between the sea and the beach and has a unique village vibe that is very family friendly and within the first hour, we understood the magnetic attraction to this charming seaside town. 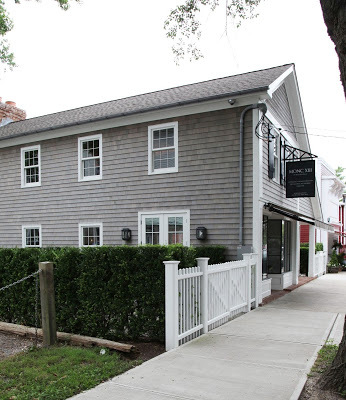 Barons Cove is a boutique hotel smack bang on the cove of Sag Harbor. Not only is it right on the water, it’s dog friendly so our furry friend joined us on this getaway. It’s quintessentially Hamptons, cute as a button and designed by Colleen Bashaw. Although it was still a little chilly to really enjoy, the harbor side heated saltwater pool is the focal point of this stylish stay with the hotel wrapping around this as it spills onto the harbor. The main house is decorated with oversized upholstered chairs surrounding the cracking fire and the walls adorned in small print patterned wallpaper. A curation of seaside themed artworks framed in gold add the final touches to a space that warningly reminds me of my Grandfathers old boat. We settled in our dog friendly room and little Paddington ( our puppy ) got familiar with his welcome pack that included a frisbee, dog bed and treat. 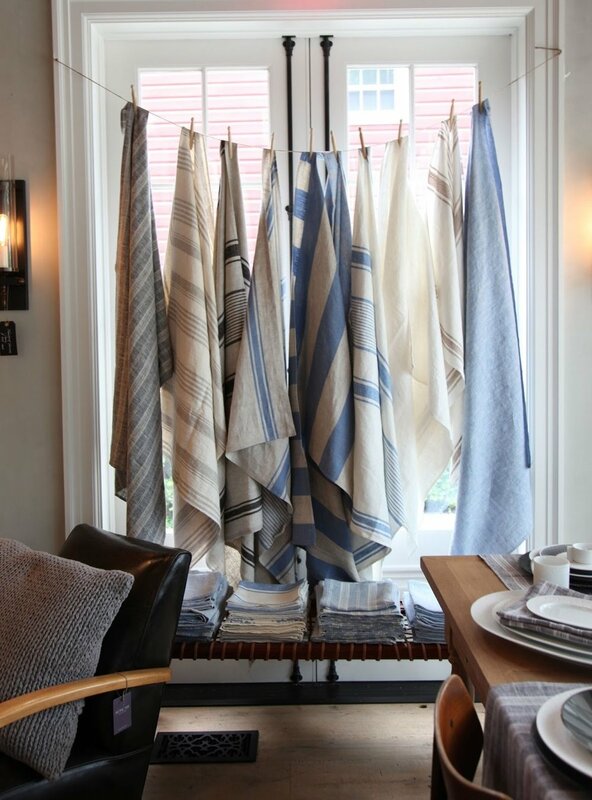 Sag Harbor embodies all the feelings of a traditional seaside village. We spent the afternoon peeking into private gardens and scouting the local real-estate market. We explored every inch on Main Street and the surrounding blocks sipping on local coffee and snacking on French pastries. We ate dinner at the Barons all-American restaurant featuring fresh and local dishes on the second floor dining room as we watched the sunset over the lapping harbor water. Starting with a plate of rock Oysters, we then indulged on local Monk fish and Baron’s famous organic chicken. Monc XIII was founded by Natasha and her husband Matt, this duo travel the globe to bring you unique and timeless treasures from the 18th century to modern day. The team are passionate about design and love to share their daily inspirations. This store is one of those places that encapsulates the perfect blend of high and higher design in a home style shop that is welcoming and breathtaking. Trying not to fan girl ( as I do when finally visiting something or someone I have been actively stalking on Instagram for years ) I gracefully swaned around the shop whispering my decor dreams to Chris about one day owning our own Hamptons cottage filled with the treasured that surround us. A 1950’s Italian chandelier hangs form the ceiling over a custom metropole shearling bench with vessel by Apparatus dotted throughout the store. Just across the road is another shop front / studio that is carefully curated with bleached out linen slip sofas and well loved timber furniture. To my delight this JanGeorge, founded by Jan and George is three-stories with a focus on high end European design. With the base of the store being an original brick floor - everything looks magical and almost irresistible ( if it wasn’t for the prices ). Minimally styled and heaving considered, I’ve fallen fast for these Netherland natives. This next recommendation cam from a friend and is only another few steps down Main Street. Sylvester & Co is a hybrid of design store, gifting with a coffee bar at the back. It’s a place you can go and spend an hour in exploring the extensive scent range, collection of design and travel books and still get your coffee fix. Sylvester also do a nice range of armchairs, side tables that complement this smaller items nicely, This space is humming with all sorts of shoppers and compared to my previous two recommendations, there is something at every price point.